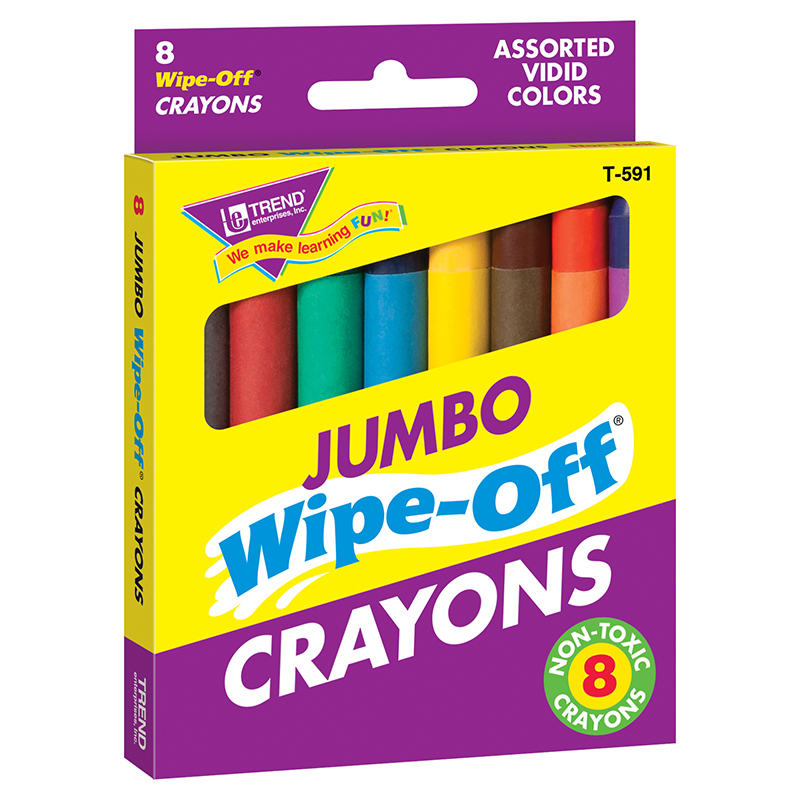 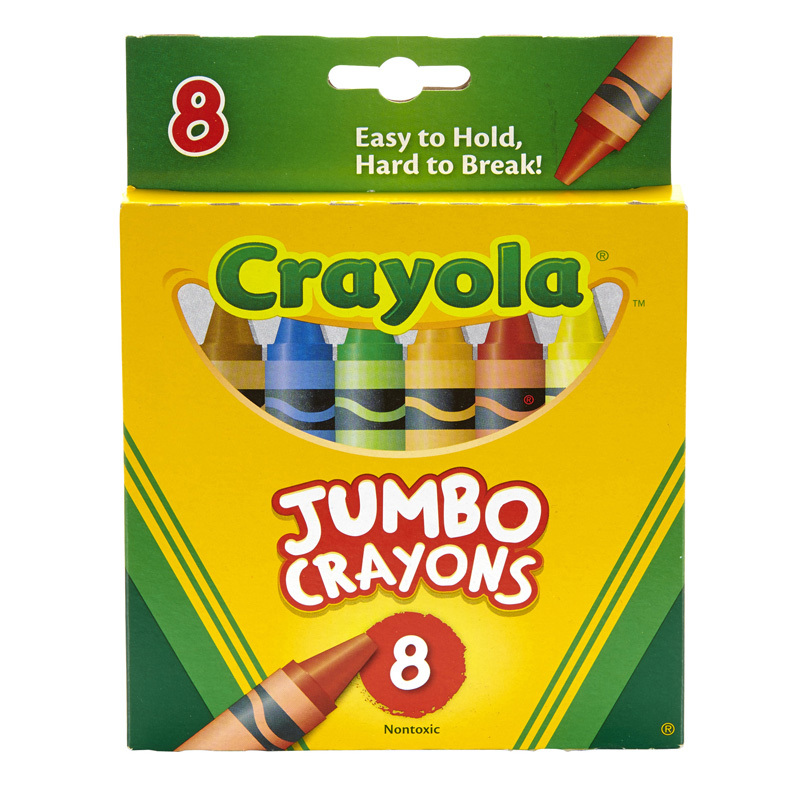 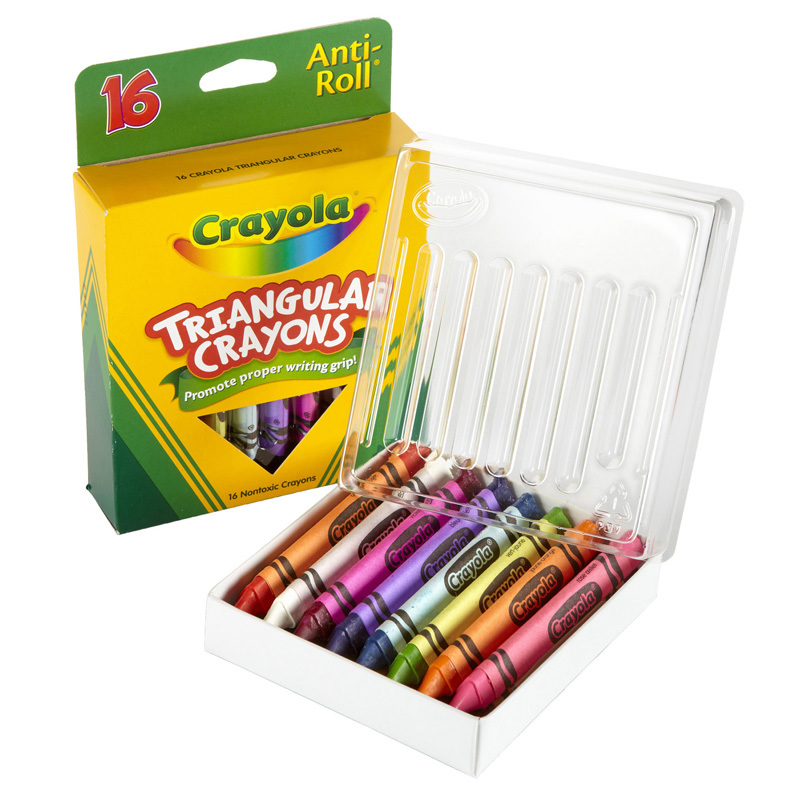 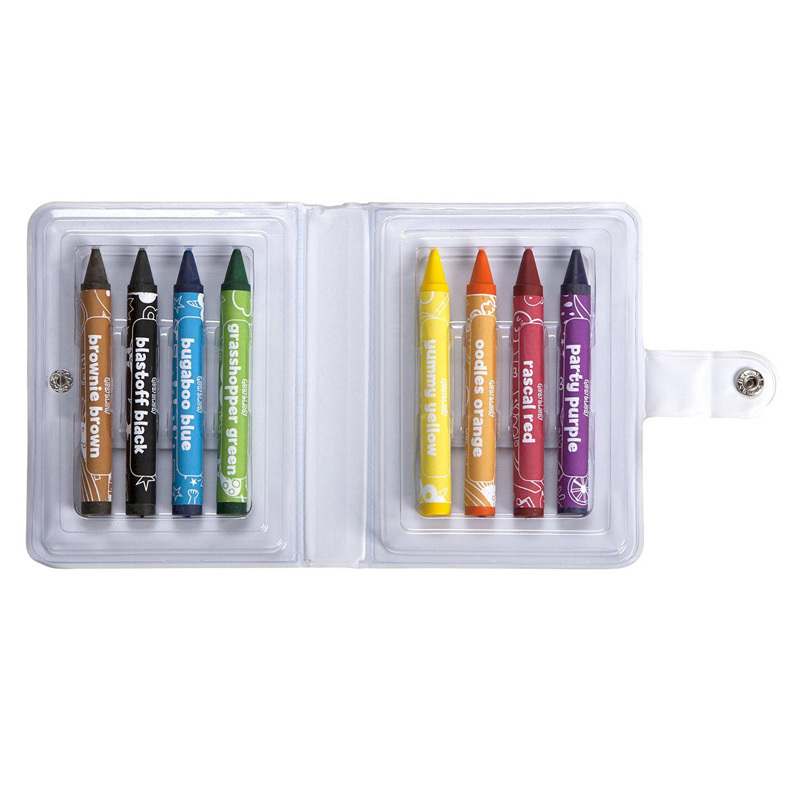 The Crayons Jumbo 8ct Peggable Tuck Box can be found in our Crayons product category within the Arts & Crafts. 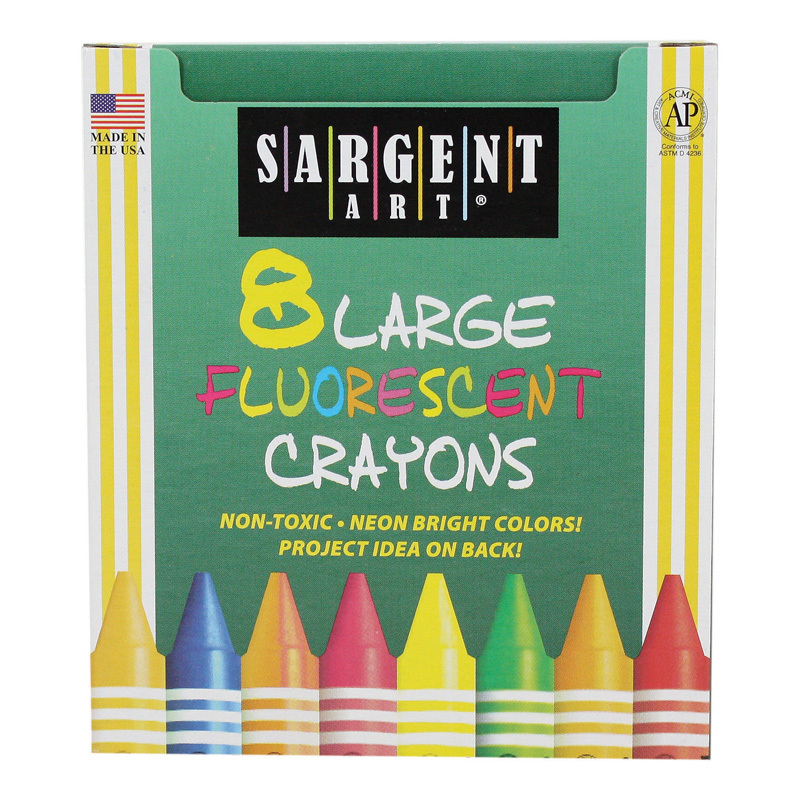 - Vibrant large fluorescent crayons in 8 neon Colors.- Convenient tuck box. 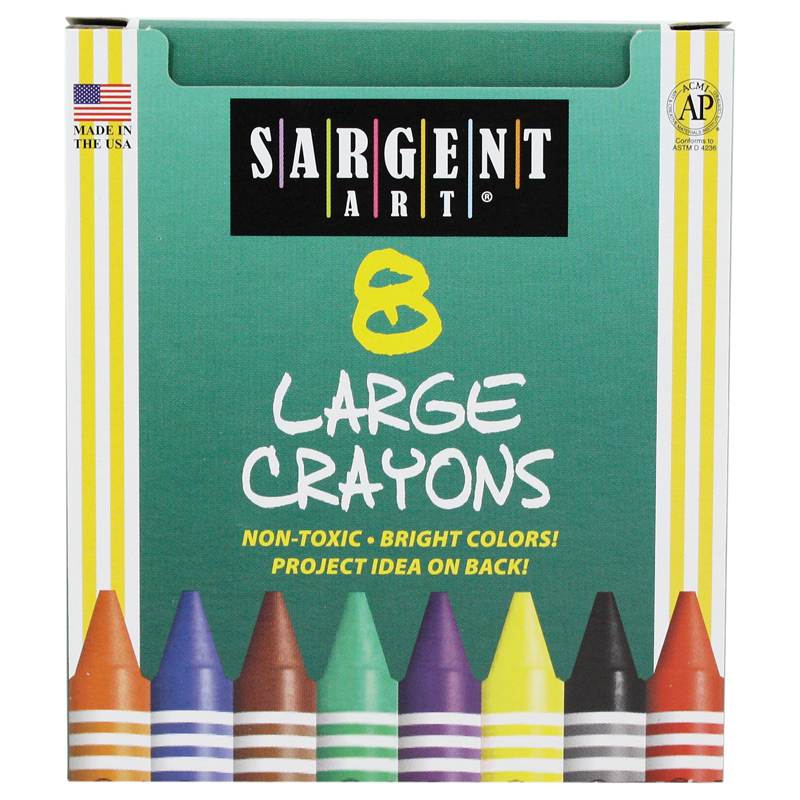 Crayon size 4" x .4375".